The July 2017 Meetup of The Windows Developer User Group is scheduled for July 17th from 6-8 PM @ Improving Ohio Office. Please see details below & kindly RSVP. It’s never been easier to expose services over HTTP. It’s also never been harder to choose an authentication system for those services. 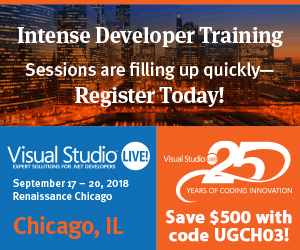 This session is designed for the average developer/architect that wants a brief overview of API security techniques without deep dives into cryptography or complex authentication frameworks. You’ll learn about OAuth, API Keys, HMAC authentication, and more. Don’t worry if those things sound foreign; they’ll be explained in a clear, practical way and you’ll leave able to make informed decisions when choosing an authentication strategy for your own apps. Seth has been programming for 27 years, 20 of them professionally as a full-stack developer and architect. He currently leads a small but powerful team in search of elegant, maintainable solutions to hard problems. Seth recently took on a full-time leadership role but isn’t ready to totally quit programming just yet. When not juggling Gantt charts and TPS Reports he can be found playing tabletop games, entertaining his kids, or sneaking in a quick code change to keep his skills sharp. He works from home (and loves it!) outside of Columbus, OH.